Recently in Silithus. . . .
Aided by the heroes of Azeroth and their powerful Artifact weapons, Speaker Magni Bronzebeard was able to stabilize the planet’s grievous wound. For now, Azeroth is stable, but the road to healing her fully will require much more than a temporary bandage. The Road Ahead. . . . The events in Silithus were just the first step in aiding the planet. The path to restoring her continues in Zandalar and Kul Tiras as you seek out Azerite to aid the Horde or Alliance. Speaker Magni has a way for you to help Azeroth and empower your armor at the same time—the Heart of Azeroth. By utilizing this powerful Artifact, you’ll be able to harness Azerite to “awaken” pieces of armor that possess astounding latent powers. After completing the Battle for Lordaeron, you’ll be directed to meet Magni once again in the deserts of Silithus. He’ll present you with the Heart of Azeroth, a powerful neck piece that you’ll take with you on your new adventures in Kul Tiras and Zandalar. The Heart of Azeroth will allow you to siphon the power of Azerite as you continue to heal of the planet, and once it’s empowered, it will level alongside you. As this Artifact increases in power, so too do its stats. It will also help you empower special helms, chest pieces, and shoulder pieces. 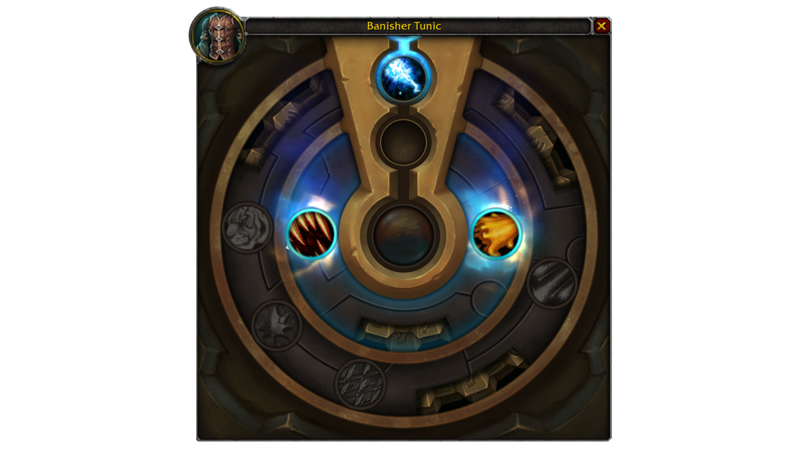 Each piece of Azerite-empowered armor has anywhere from three to four rings of Azerite traits available to unlock as you level up your Heart of Azeroth. As it increases in power, you’ll unlock more rings on your Azerite-empowered items. You can—and should—equip Azerite-empowered armor pieces in all three of the available slots, and you can view and change their associated powers by using Shift Right Click to open the interface. Each ring of traits provides a specific type of benefit for you to choose from. Outer Ring: Powers that reside on the outer ring will often be influenced by where you collected the piece of armor they’re found on. These powers can also be associated with specific class specializations. Your damaging abilities have a chance to invoke a tainted swamp beneath the target, siphoning 8,628 health from them over 6 sec. Second Ring: These powers generally benefit the performance of your in-game role—they’ll provide damage increases for DPS classes, increase damage mitigation for tanks, or bolster healing output for healers. Example: Savior: Your heals on targets below 35% health have a chance to heal for an additional 942. Third Ring: These are defensive or utility-oriented powers for your class. Example: Azerite Fortification (Passive) When stunned, immobilized, or knocked back, you heal for 1,852. Fourth Ring: Azerite Empowerment is the power that resides on the central fourth ring, and increases an armor piece’s item level by 5. Epic-quality gear, such as are rewards from raid dungeons, can have a fourth power tier available, which appears as the armor piece’s second ring. Lower level gear will generally only have three rings available, and won’t include this second ring. If you change your mind on any of your power choices, you can always visit the Azerite Reforger in Boralus or in Zuldazar. While the cost is relatively low at first (5g), it will increase in cost the more times you reforge. The cost won’t stay that high forever— every two days, you’ll see your reforge cost decrease. There are a few other things to consider with Azerite-empowered armor. These pieces don’t have secondary stats, so you won’t need to worry about choosing powers with those in mind. Also, unlike the Heart of Azeroth itself, they can be enchanted. Another exciting thing to note for Azerite Armor is that each item has been created with specific powers on them. So, if you’ve taken a liking to a specific piece of armor’s powers, you’ll be able to hunt down the same piece of armor at a higher item level. For example, a piece of armor from Raid Finder will have the same powers as a Mythic piece of armor, but the Mythic version will have a higher item level, higher stats, and will be more powerful overall. Items have also been deliberately created and placed in the world, so if there’s a piece you have decided must be yours, you’ll know exactly how to find it. This variance in item level also applies to rewards from Mythic Dungeons and PVP. Your spells and abilities have a chance to grant you 287 Mastery for 15 sec. When this effect expires, it jumps to a nearby ally, granting them 144 Mastery for 8 sec. 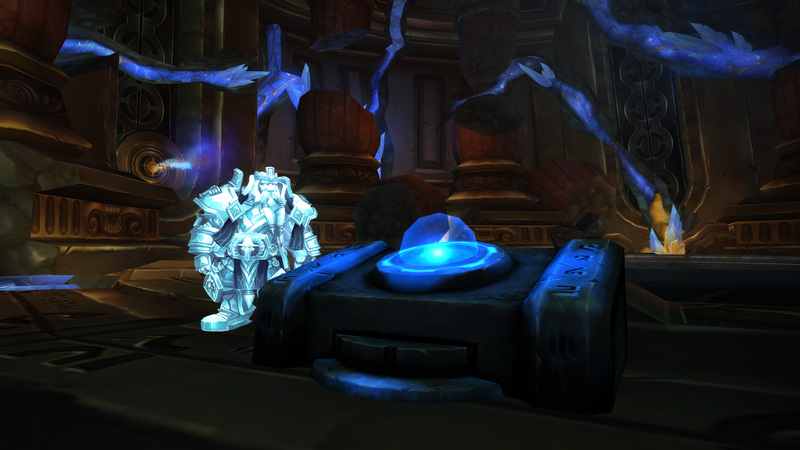 Azerite-empowered armor can come from a variety of activities, from questing, to Raiding, to PvP. Each piece you receive will have an item level appropriate to where it dropped. If you’re looking to claim top-end gear, you’ll be able to collect it from taking part weekly activities such as raiding, from the weekly Mythic cache, Raid bosses, Warfronts, World Bosses, and via the Rated PvP activities. You’ll also want to make sure you take part in the World Quests given by Magni Bronzebeard. He’ll be an important part of empowering your Heart of Azeroth. As you build your reputation with him from friendly to exalted, you’ll be rewarded with Azerite as well as a chance to receive Azerite armor along the way. Similar to Artifact Knowledge in Legion, the Heart of Azeroth will help players keep up with the ever-increasing power curve. 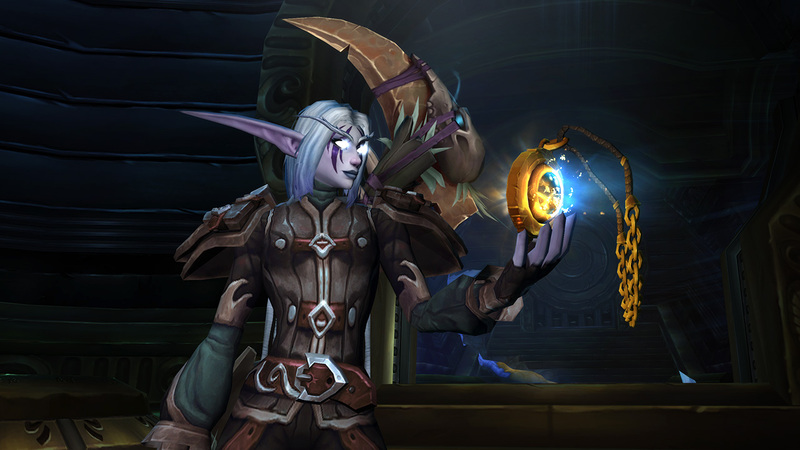 Over time, the amount of Azerite required to level the Heart will decrease, allowing players the ability to catch up if they’ve fallen behind. The system should help give you a leg up if you need one, but you’ll still need to put forth an effort to keep your Heart of Azeroth’s powers growing. There’s no shortage of opportunity to tailor your gear to match your playstyle no matter your focus as you work toward healing Azeroth.